Can I Carry Someone on My Tax Return if They Owe the IRS? 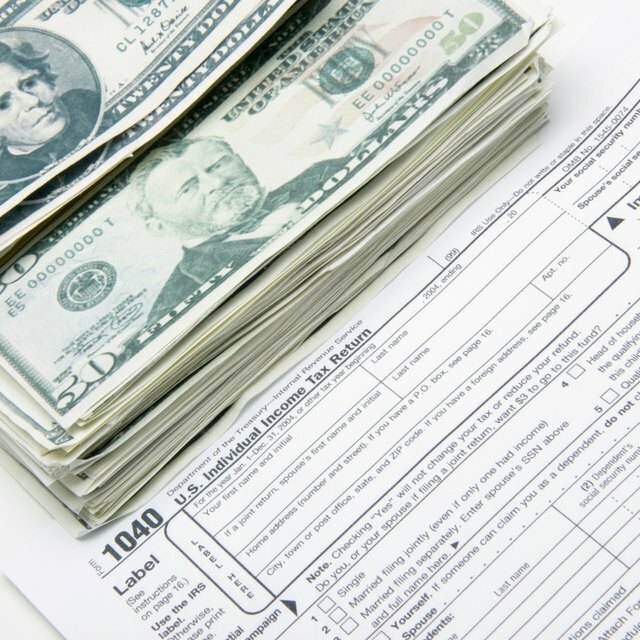 If My Husband Owes Back Taxes, How Do I File? You’ve worked hard to keep your record clean. You pay all your bills on time and when you file your taxes, you make sure you follow the letter of the law. If you owe money to the IRS, you pay it promptly to avoid being forced to pay penalties later. But what if someone in your household owes back taxes? You may still want to include that person on your tax return, but you also don’t want it to impact any tax refund you might be receiving. Whether this person is a dependent or spouse, that taxpayer’s IRS debt likely won’t affect you, especially if you know in advance what to expect. Even if you claim someone as a dependent or spouse on your IRS tax return, the chances are good that you will not be held liable for any federal debts they have incurred. You may think that claiming someone like a child as a dependent means that person doesn’t have to file. However, that isn’t always the case. If a dependent under age 65 earns income of $6,350 or more, he must file a federal tax return. That amount goes up to $7,900 if the dependent is either over the age of 65 or blind, and $7,600 if that 65-plus or blind dependent is married. Although your dependent may be making her own money, that doesn't mean you aren't still responsible for what she does. If your child doesn't pay the amount due, the parents could be responsible for paying that debt. The bill will ultimately go to the person who owes the money, though, but if the child is filing her own taxes, that debt will come out of her own refund, not yours. Things get a little more complicated when the person sharing your tax forms is married to you. When you file jointly, your taxes are combined, which means you receive one refund or one bill. If your spouse brought IRS debt into the marriage, the IRS will take that from any refund coming your way when you file in April. Can You Get Garnished if You File Jointly? Is There a Penalty for Filing Taxes Late if You Get a Refund? What Are Prisoners' Rights About Income Taxes? Can I Claim My Baby on My Taxes If the Baby Is Born in January? Filing separately can be a way around this, but you’ll miss out on many of the credits you get for filing jointly, which can be especially harmful if you have children. Under the new tax law, you’ll receive a standard deduction of $12,000, but that increases to $24,000 if you file with your spouse. The biggest adjustment could be your tax bracket, though. Together, you may find you fall into a lower combined tax bracket than you each would have if you filed separately. There is another option, though. The IRS offers something called “injured spouse,” which isn’t as painful as it sounds. You just file Form 8379, which applies your spouse’s part of the refund to those past-due taxes, while letting you keep your share. You’ll have to certify that the debt was your spouse’s alone and not part of a joint tax return you previously filed. Injured spouse is often confused with innocent spouse. Put simply, you file injured spouse status if you’re still married to the spouse with the tax bill. If you’ve received a letter in the mail that says you owe money, that would fall under innocent spouse. Generally, you’ll file innocent spouse when you’re separated or divorced from someone who owes the tax debt. Nolo: When Does Your Child Have to File a Tax Return? Investopedia: Happily Married? File Taxes Separately!